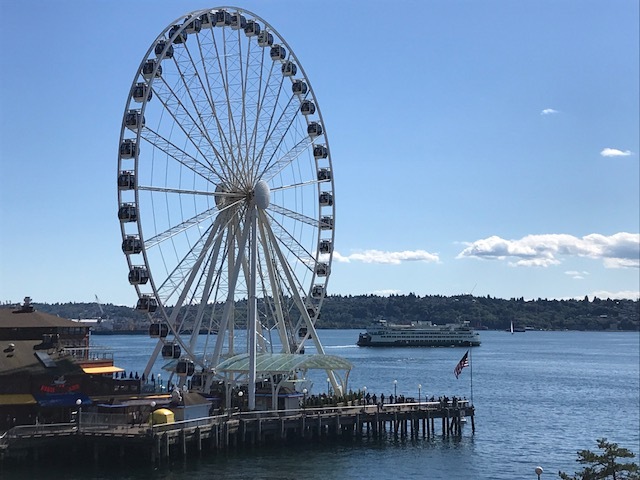 Located right below the Pike Place Market on the Seattle waterfront is the Seattle Great Wheel. Here I caught a great shot of it with a Washington State Ferry moving across Elliott Bay. On a clear day while riding the Great Wheel you can get a perfect view of Mount Rainier. This entry was posted in Must See in Seattle by admin. Bookmark the permalink.